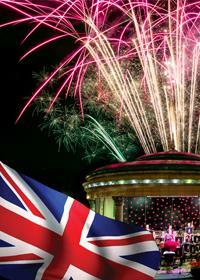 Our first 1812 Proms Firework Concert of the 2019 season kicks off at 8:00 pm on the 8th May at the Eastbourne’s iconic Bandstand. The music includes new and traditional arrangements of such pieces as Bandology, When I Fall in Love, a World War 2 Singalong Medley and culminates with rousing renditions of Land of Hope & Glory, Jerusalem, Fantasia on British Sea Songs and Tchaikovsky’s ever popular 1812 Overture, complete with pyrotechnics to add to the atmosphere. For further details please refer to the Eastbourne Bandstand Website. The John Walter Cup was donated to the band in 2001 by the band President John Walter and is presented at the Annual General Meeting (AGM) each year to the player that has shown the most improvement or made the most effort to improve their playing over the proceeding year. This year the award has been presented to Caleb Scott who is currently rehearsing a solo piece which we hope will be showcased later this year. Well done to ALL involved in organising and supporting the the RAFA concert held on Sunday the 9th December. 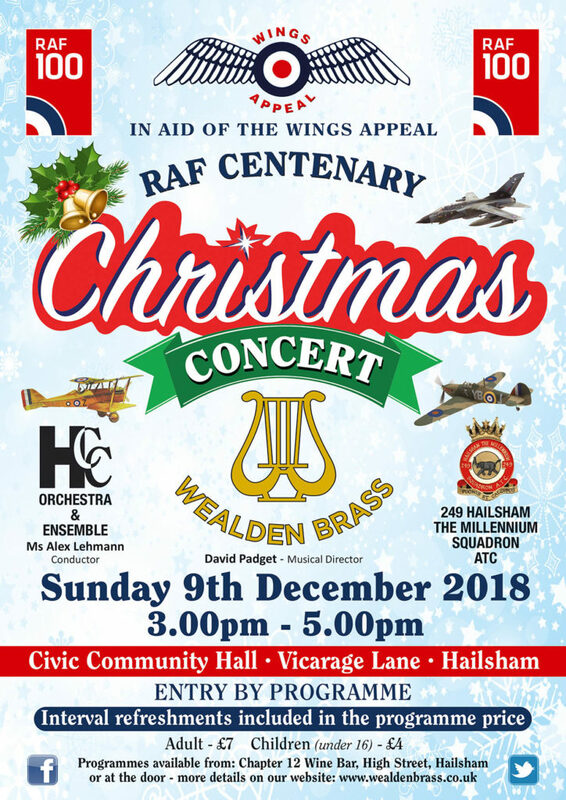 (inc. Wealden Brass, Hailsham Community College Orchestra/Ensemble, Hailsham Air Training Corps (ATC) 249 Squadron, event & collection volunteers). Total profits from the Christmas concert, raffle and street collections amounted to £925, which has been donated in support of the RAF Wings Appeal. This brings the total raised from the May and December fund raising events to over £1,800. Our first major concert of the year got off to a flying start at the Hailsham Community Centre on the 20th May 2018 and we’re pleased to announce that the event, combined with street collections at the Hailsham Street Market, ticket sales, raffle and CD sales raised the incredible sum of £891 for the centenary RAFA Wings Appeal. The music had a distinctly aeronautical flavour, featuring pieces such as ‘Those Magnificent Men’, ‘633 Squadron’, ‘The Dam Busters’ as well as more modern pieces for which the band are known. Of particular significance was an outstanding performance from one of our youngest upcoming stars Abbi (Pictured left) who played a solo entitled March from the Overture to The Occasional Oratorio. This was her first solo performance and it was certainly well received by the audience and band alike. Well done Abbi. Wealden junior section (pictured right) played a rather catchy piece (amongst others) based upon the film “Pirates of the Caribbean” wearing suitably themed pirate hats. All great fun! As well as Wealden Brass, the concert also featured music performed by the students of Hailsham Community College Orchestra (Pictured below) which includes junior brass players from Wealden Brass. Thanks also goes to the Air Training Corps (ATC) 249 Squadron for their assistance with the raffle and distribution of refreshments and to all the helpers who made the teas and coffees during the interval, to Claire for CD sales and to Fred and the team at the Hailsham branch of the Royal Air Force Association. We look forward to seeing you all at our next RAFA concert on Sunday, 9 December at 3.00 pm for a festive introduction to the Christmas season. 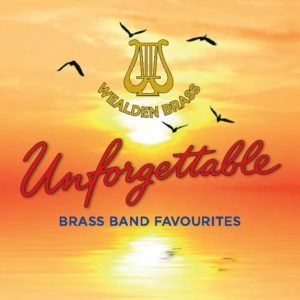 Following hot on the heels of our first very successful CD, ‘Wealden Brass At The Movies’, we have now completed our second, “Wealden Brass – Unforgettable Brass Band Favourites” which is now available for sale. Tracks comprise well known themes and tunes including “Breezin’ Down Broadway”, “Unforgettable”, “Zambezi”, “Frolic for Trombones”, the ever popular “Sussex by the Sea” and many more. – For full details, click on the CD cover opposite. The band was formed in February 1979 and held its first practice at Vines Cross church on 6th March 1979. Starting with just six playing members, they were collectively known as Vines Cross Modern Brass. In 1980 the band moved to Hailsham and began rehearsing at Marshland School. During that year, the band membership increased four-fold to twenty four members and the name was changed to Hailsham and Vines Cross Modern Brass. In October 1982, the band moved to Union Corner Hall in Hawks Road, Hailsham and has rehearsed there ever since. In 1997 the band changed its name to Wealden Brass and now regularly performs throughout East Sussex including Eastbourne Bandstand. The band has built up an enviable reputation for entertaining concerts under the musical directorship of Mr David Padget, who was elected into the post in 1998. The band continues to grow from strength to strength thanks to the enthusiasm and dedication of each and every member (and the loyal support of the public of course) and looks forward to providing another season of entertainment. The band carries out a great deal of charity work in helping to raise money for good causes. We have regular attendance at our practices in the Union Corner Hall, with approximately 26-30 members. Three of these are founder members. Even though our membership is strong, we have vacancies that we would like to fill and we are always on the lookout for talented musicians to join us. In 2008 we received some Lottery funding in the Awards for All programme, which was used to buy four instruments. We have a selection of spare instruments available to lend to get new players started. We have a junior group that meets every Tuesday at 7.15 pm, to prepare beginners for the main band. In 2004 the band celebrated its silver anniversary with a concert in the Hailsham Community Hall, followed by a reception for the friends, supporters, former members and other alumni, including the long-suffering family and friends who do so much to support and assist the musicians. The band has a very friendly atmosphere and every excuse is taken to have cake and drinks after a rehearsal to celebrate. In fact, you don’t even need to be able to play to join our group. One of our members is a qualified music teacher and will help you to get started.